It feels like just yesterday I was just finalizing our 30 Ways in 30 Days Hunger Action Month calendar. I am devoting this blog post to all those who got involved with this year’s HAM and thanking everyone that helped make it happen. This year we did some new and exciting things to help raise awareness about hunger in our community. 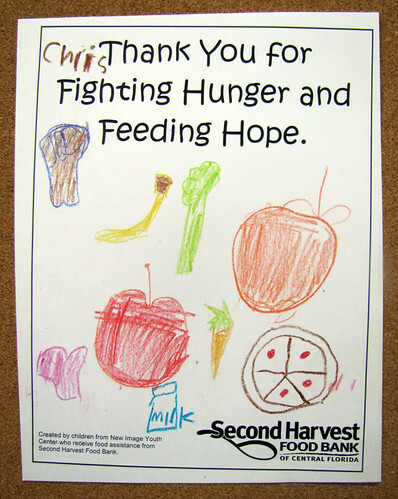 The goal of our calendar was to show that even small actions can make a deep impact on the problem of hunger. We were super excited to receive a lot of positive feedback and can’t wait to make next year even bigger and better! Hunger Action Month would not be possible without the support of our community partners. They held partial proceeds nights at their restaurants, donated food, organized events for us and even let us join in their monthly community events. 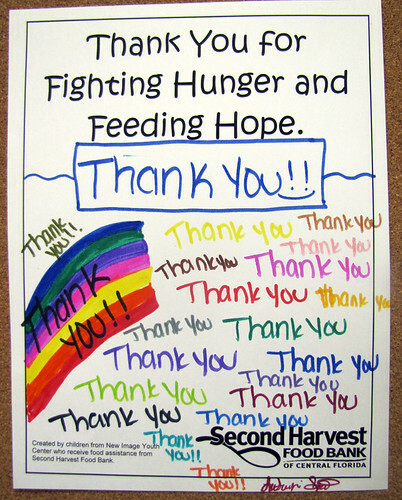 All our partners were very supportive and helped get the word out about Hunger Action Month. This year we also pushed the color of hunger relief, Orange. Huge thanks to everyone that wore Orange in September in support of Hunger Action Month. A special thanks to the City of Orlando! The City got involved and lit the Lake Eola Fountain Orange! This year we also launched http://www.CFLHungerAction.org! We will continue to use the site to highlight future events and to post community food drives. So make sure to check back soon because the fall is always filled with so many amazing events that the Central Florida community puts together for us. 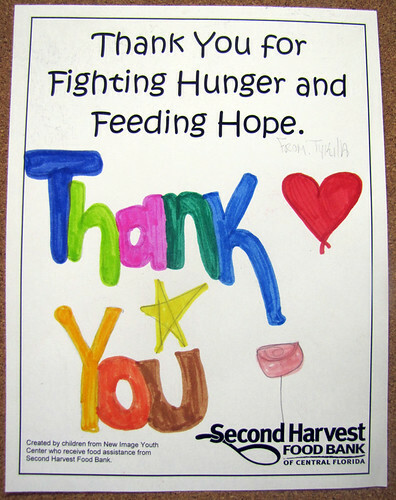 Thank you for helping to Fight Hunger and Feed Hope this September! Did you like our 30 Ways in 30 Days Calendar? 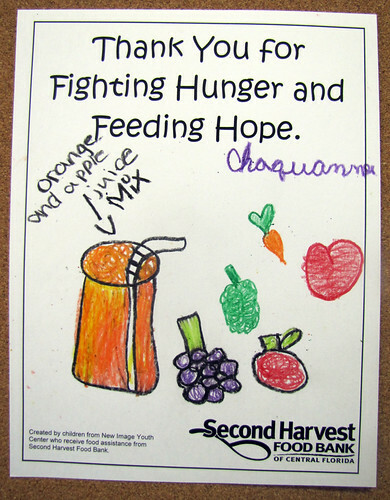 What other types of events would you like to see more of next year during Hunger Action Month?